If you haven’t played Borderlands up to this point, you have been missing out. You haven’t just been missing out on a great game with an open world full of baddies. You have been missing out on some of the craziest weapons you will ever see in gaming. This isn’t an over-stated point… it might be an understatement. 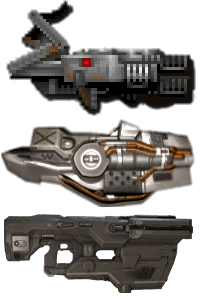 If someone says “BFG” and “Doom” in the same sentence it is usually met with some sort of reaction that entails it being the best gun ever made in a video game. The omnipotent BFG 9000 from the Doom Series. These are some guns collected in Borderlands… Take a look at some of the damage and bonuses that come with these guns, rifles and rocket launchers. 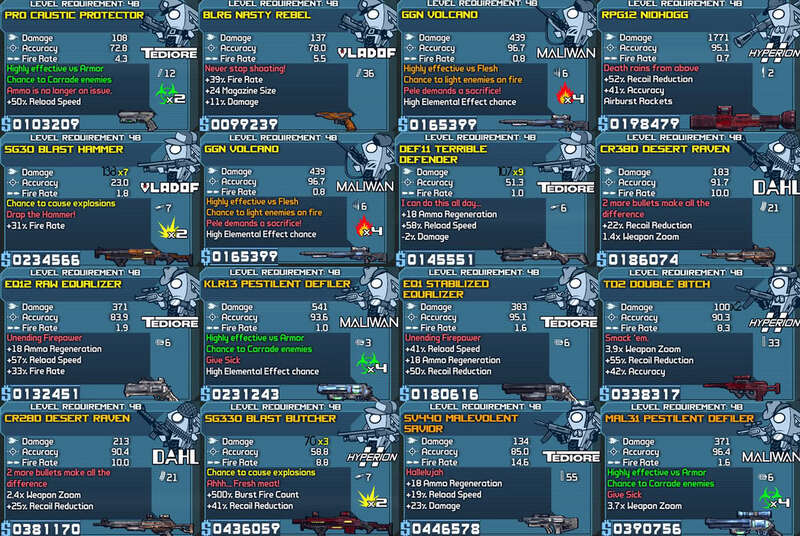 In Borderlands 2 you should expect a lot of the the same. Tons of guns (a lot of them will be crappy when you start) but once you get rolling you will never regret diving into this amazing open world FPS. By the way, you should also know that when you team up with friends you can trade and give them some of the weapons you have found. Who says charity isn’t a good thing? When it gets you a shotgun that fires rockets with a sniper scope and it’s accurate to that range for 400 damage?… Yeah, we are excited like Tim Tebow. Previous Previous post: Call of Duty Still Going Strong – Are You Surprised? Should You Wish Otherwise?